2014 saw the Vince Clarke / Andy Bell combo celebrate yet another success with ‘The Violet Flame’, where according to Bell, ERASURE “definitely found (their) mojo again with this record”. Following their thirtieth anniversary, the synthpop kings now return with the seventeenth studio album entitled ‘World Be Gone’ . This time, self-produced by ERASURE and mixed by Matty Green, the long player sees Vince and Andy in a more pensive mood. ‘Love You To The Sky’ heralds the ten track outing. 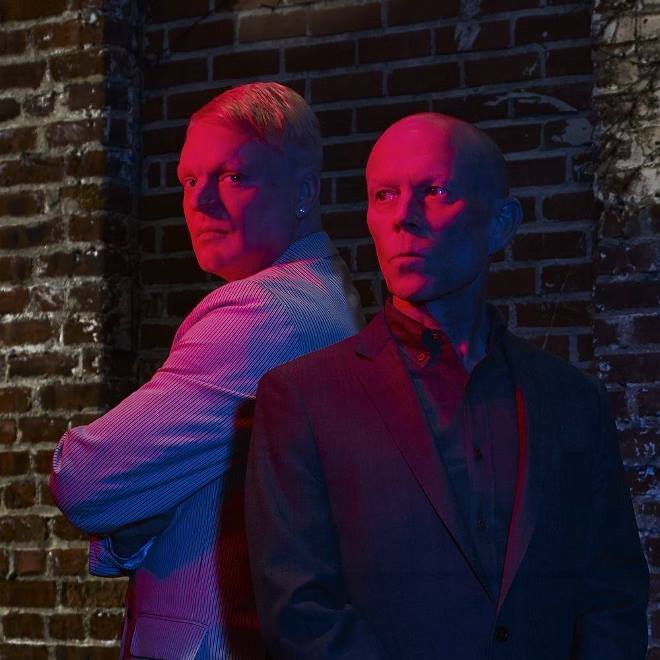 While it’s a pleasant sounding melody with Andy’s angelic voice and a rather captivating verse, the track struggles to lift to the heights which ERASURE are celebrated for. The beautifulness of the verses disperses with the repetitive chorus, making ‘Elevation’ from ‘The Violet Flame’ the winner in the battle of the first singles hands down. Still, judging by the efforts by their contemporaries, ‘Love You To The Sky’ is a charming and well-written song. The slower paced ‘Still It’s Not Over’ searches the soul with gentle sounding musicality and simple melody, conveying a hopeful message of the continuation of everyday fights, against all odds, even though we were “left (us) to the sheer attack, and still it’s not over”. Where the quintessential ERASURE sound comes to play, is on ‘Be Careful What You Wish For’. 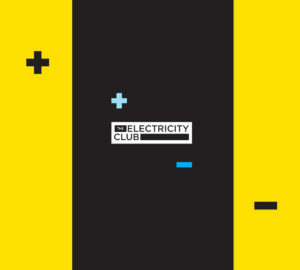 This excellently led tune sublimely meanders itself around a plethora of Andy Bell’s vocals. The dreamy lyrics are challenging and endearing, and the whole song is just beautifully executed. Following on, there ushers the album’s title track, which is equally peaceful and gracefully powerful. Reminiscent of the vintage ballads by Clarke, ‘World Be Gone’ ties together with the band’s history in a seamless manner. ‘A Bitter Parting’ tells the story of a failed relationship over African inspired choirs a la ‘The Kodo Song’ by KID KASIO, elegantly penetrated by marvellous synth and added nostalgia in the lyrical content. ‘Take Me Out Of Myself’ is a gentile plea for being treated with deserved consideration, like a demure version of Otis Redding’s ‘Respect’, while ‘Sweet Summer Loving’ introduces a change in tempo with a mid-paced love song. 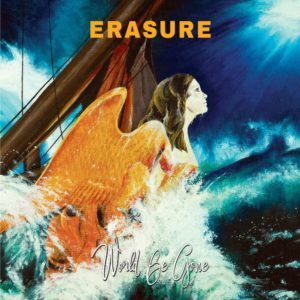 ‘Oh What A World’ superbly escorts a twist in ERASURE’s notion; different sounds, different feels to the vocals and altogether a rather big departure from what we have come to know and love the duo for, but this is where Vince Clarke proves, yet again, that he’s an unparalleled synth magician. It’s possibly the best piece from the Bell / Clarke stable in years. ‘Lousy Sum Of Nothing’ continues the delicate theme, leading to the closing ‘Just A Little Love’. Here is where the lovers of the dancier tracks get their money’s worth. It’s a rather unassuming, yet solid piece to wrap up this wonderfully gracious offering. As set out, Bell and Clarke bring us more than hope. ‘World Be Gone’ will probably be as commercially successful as its predecessor, and unlikely to follow the fate of the very unloved and misunderstood ‘Tomorrow’s World’. A few will wonder as to why the production wasn’t delegated out and some will criticise. But every now and then, an easy listening piece is needed to level out the vast material ERASURE have brought us over the years. Is it their finest? It’s different, more grown-up and maturely executed; still, it will undoubtedly be one of the best things synthpop enthusiasts will hear this year.